Replacement H4 halogen bulb for Baja Designs dual-sport kit headlight. 55W low-beam, 60W high-beam (the high-beam filament is un shrouded.) 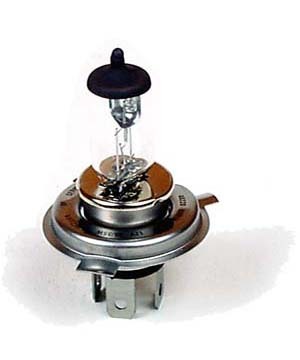 If you need to replace your headlight bulb but aren't sure which wattage to get, remove your old bulb from the headlight and look for the wattage rating stamped on the front of the bulb's base flange.